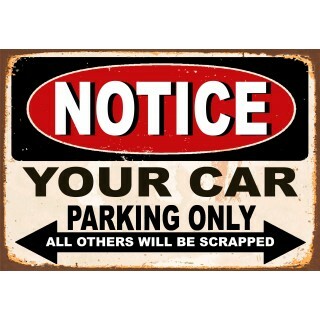 Car Parking funny metal tin signs There are 54 products. 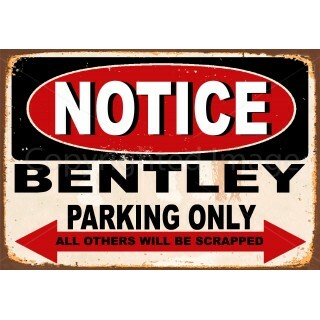 Notice Bentley Parking Only vintage metal sign Notice Bentley Parking Only sign is manufactured from top quality metal which guarantees long time durability and classic look. Manufactured with intentional scratches and having rusted edges this retro Notice Notice Bentley Only tin sign is an excellent addition to any garage . 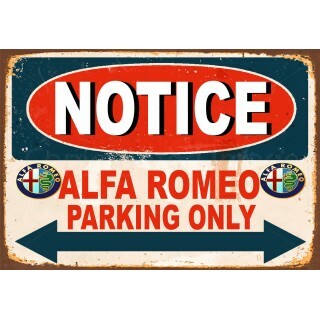 Notice Alfa Romeo Parking Only vintage metal sign Notice Alfa Romeo Parking Only sign is manufactured from top quality metal which guarantees long time durability and classic look. Manufactured with intentional scratches and having rusted edges this retro Notice Alfa Romeo Only tin sign is an excellent addition to any garage . 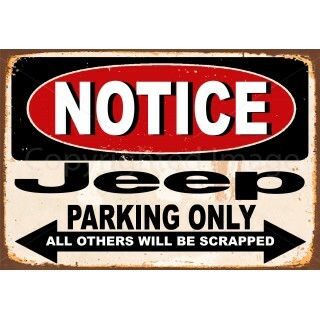 Notice Jeep Parking Only vintage metal sign Notice Jeep Parking Only sign is manufactured from top quality metal which guarantees long time durability and classic look. Manufactured with intentional scratches and having rusted edges this retro Notice Jeep Only tin sign is an excellent addition to any garage . 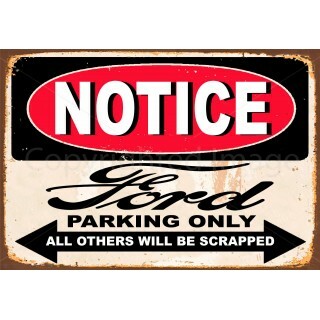 Notice Ford Parking Only vintage metal sign Notice Ford Parking Only sign is manufactured from top quality metal which guarantees long time durability and classic look. Manufactured with intentional scratches and having rusted edges this retro Notice Ford Only tin sign is an excellent addition to any garage . 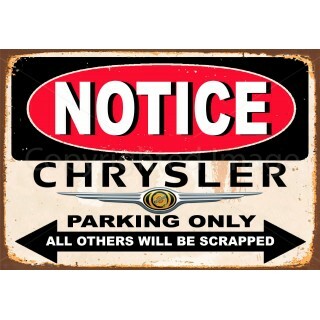 Notice Chrysler Parking Only vintage metal sign Notice Chrysler Parking Only sign is manufactured from top quality metal which guarantees long time durability and classic look. Manufactured with intentional scratches and having rusted edges this retro Notice Chrysler Only tin sign is an excellent addition to any garage . 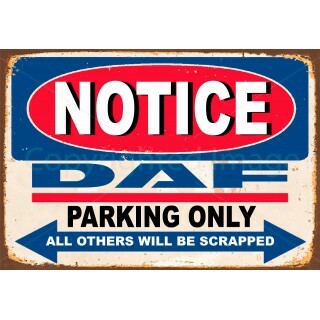 Notice Daf Trucks Parking Only vintage metal sign Notice Daf Trucks Parking Only sign is manufactured from top quality metal which guarantees long time durability and classic look. Manufactured with intentional scratches and having rusted edges this retro Notice Daf Trucks Only tin sign is an excellent addition to any garage . 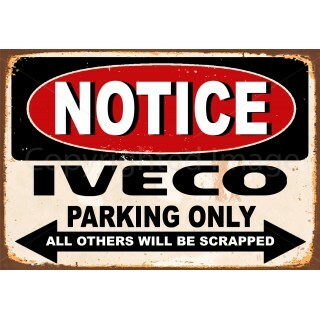 Notice Iveco Trucks Parking Only vintage metal sign Notice Iveco Trucks Parking Only sign is manufactured from top quality metal which guarantees long time durability and classic look. Manufactured with intentional scratches and having rusted edges this retro Notice Iveco Trucks Only tin sign is an excellent addition to any garage . 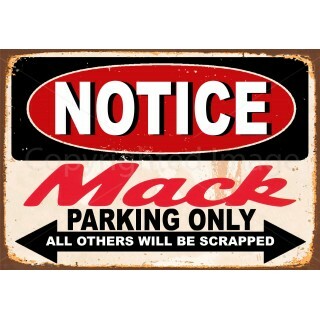 Notice Mack Trucks Parking Only vintage metal sign Notice Mack Trucks Parking Only sign is manufactured from top quality metal which guarantees long time durability and classic look. Manufactured with intentional scratches and having rusted edges this retro Notice Mack Trucks Only tin sign is an excellent addition to any garage . 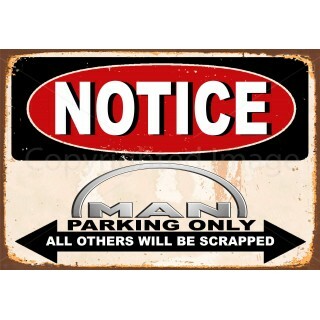 Notice Man Trucks Parking Only vintage metal sign Notice Man Trucks Parking Only sign is manufactured from top quality metal which guarantees long time durability and classic look. Manufactured with intentional scratches and having rusted edges this retro Notice Man Trucks Only tin sign is an excellent addition to any garage . 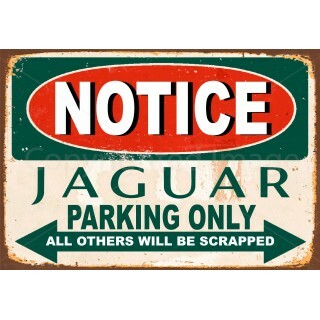 Notice TVR Cars Parking Only vintage metal sign Notice TVR Cars Parking Only sign is manufactured from top quality metal which guarantees long time durability and classic look. 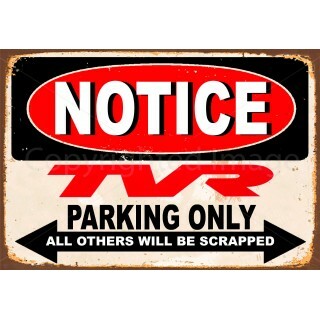 Manufactured with intentional scratches and having rusted edges this retro Notice TVR Cars Only tin sign is an excellent addition to any garage . Notice Massey Ferguson Parking Only vintage metal sign Notice Massey Ferguson Parking Only sign is manufactured from top quality metal which guarantees long time durability and classic look. Manufactured with intentional scratches and having rusted edges this retro Notice Massey Ferguson Parking Only tin sign is an excellent addition to any garage .